A decade ago when we first took up the challenge of Professor Carroll Quigley from his seminal works, Tragedy and Hope and The Anglo American Establishment to look for evidence of the secret cabal  and how they grew into the Secret Elite we were stunned by the facts which had been ignored amazed by the ease with which important figures had been air-brushed from history and angered by the repetition of old lies about the causes and conduct of the First World War. Researchers are still denied access to records and official papers which remain under lock and key or have been burned or shredded. Yet, after many years of dogged research we have proved without doubt that the Secret Elite caused the war against Germany and, in conjunction with their associated international bankers and political allies in London and New York, deliberately prolonged the carnage beyond 1915. They were determined to break up forever the old empires which threatened the imperial power of Great Britain. Germany had to be destroyed. As the Romans had insisted that Carthage had to be destroyed to ensure the primacy of Rome, so the Secret Elite and their agents focussed their might on the destruction of Germany. For almost a century the myth that Germany deliberately started that war has been repeated like a mindless mantra. Over the last few years there has been a noticeable move towards a softer approach, the most recent of which being Christopher Clark’s interpretation that Europe sleepwalked into war. Not so. We cannot repeat too often, the hard fact that millions of men were sacrificed by evil profiteers and malignant power-brokers in a determined effort to bring about their new world order. Chapter by chapter we have produced clear evidence that the war was prolonged, deliberately and unnecessarily. This accusation was made repeatedly in the British parliament, in the French assembly and in contemporary reports. Such protestations were ignored, rejected or deemed groundless. The misery of the war in Europe, in the Dardanelles and Gallipoli, on the high seas and in the air, was justified by propaganda and lies, while those who suffered the deprivations and agony were sacrificed to a dark cause about which they knew nothing. The United States, though posturing as a neutral, was essentially an active but secret ally for the British and French governments from the early days of the conflict. The money-power and the presidential minders who controlled U.S. foreign policy would never have allowed Germany to succeed. J.P. Morgan and his Rothschild backers, the Rockefellers, Kuhn Loeb and Warburgs made unprecedented profits on the back of the sheer hell of the trenches, and poverty and deprivation on the home front. Though Britain was assured of support from the Anglo-American banking fraternity from the first day of the war, it was no easy task to turn the average American citizen from isolation and a deeply entrenched anti-war sentiment to active involvement. The financial clout of the American banks, the munitions industries and the essential food producers unquestionably ensured an Allied victory, though, for most of the war the American people had no inkling of their government’s complicity. Lies and deceit continued unabated. Cleverly staged propaganda justified the loss of civil liberty which was imposed by the British government. The Secret Elite have no respect for democracy. We live in a strange era of alternative fact and fake news, but do not imagine that this is some new invention. Hitherto much that was faked in history lay unquestioned. President Woodrow Wilson was re-elected in 1916 on the boast that “he kept America out of the war”. Barely three months after his second inauguration he completely reversed his policy and effectively ended any slim chance of Germany’s success. This is precisely how Elites have always worked. Lie to the people. Engage them in wars about which they know nothing and care nothing, but do not let them vote on the issue. Goodness me, NO. But wrap a war around a banner which claims Duty, Loyalty and promises to deliver a better Civilisation, and wars become popular. They remain popular as long as the price is acceptable to the powers that be. Should the war prove an unmanageable disaster, the elites do not pay. Politicians fall and are replaced. Profits are still made. Given all that she was up against, Germany could never have won the First World War once the Kaiser’s armies had failed to take Paris in the first forty days of the war. Putting aside the military and logistical reasons, and there were many, American investment in the war became so complete that an Allied failure would have been an absolute disaster for the bankers and financiers, the holders of war bonds and the makers of munitions. Should any doubt remain about the power, largely unelected power, exercised by the men identified at the end of the nineteenth century by Professor Quigley as Rhodes’s secret cabal, consider the following. By the year 1919, Cecil Rhodes and WT Stead were dead, but Rhodes’s fortune had been placed in the hands of Alfred Milner and his associates, and the press in Britain was dominated by the Secret Elite-approved, Lord Northcliffe. 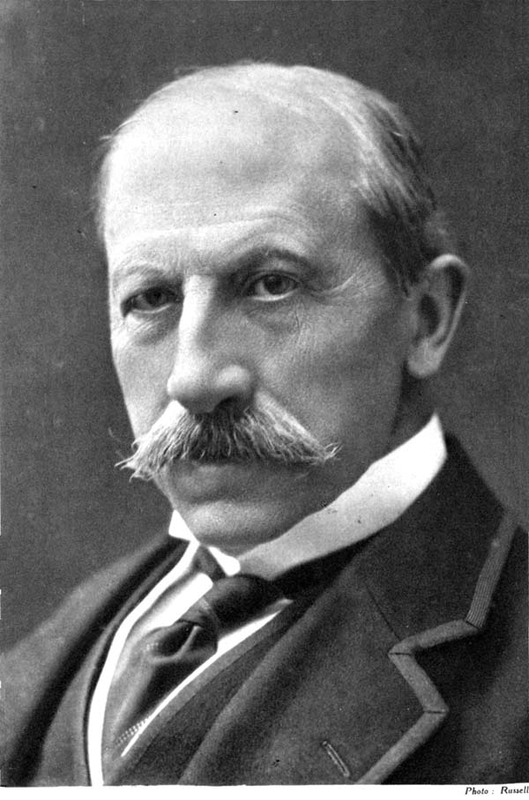 Natty Rothschild succumbed to ill health in 1915, but his successors, and in particular, his son Walter and nephew James de Rothschild had been thrust to the fore of an emerging force called Zionism. Above all, was Alfred Milner, Viscount and Oxford University alumni. 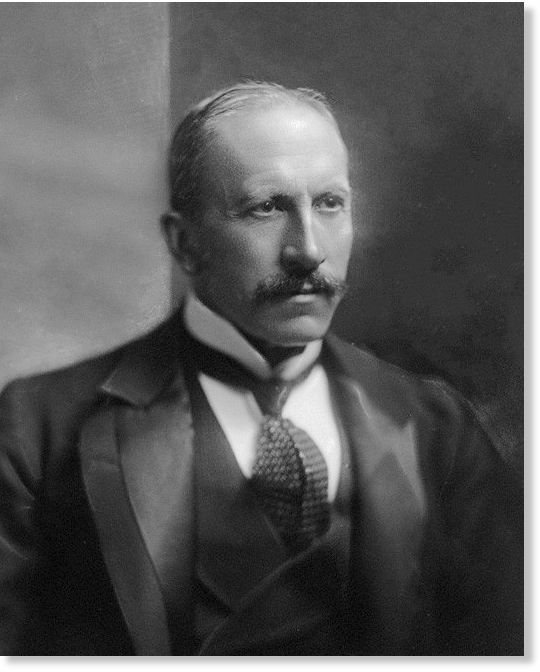 The man who saved Rothschild’s gold and diamond mines in South Africa in the Boer War became the unelected permanent member of the War Cabinet under Lloyd George after 1916. 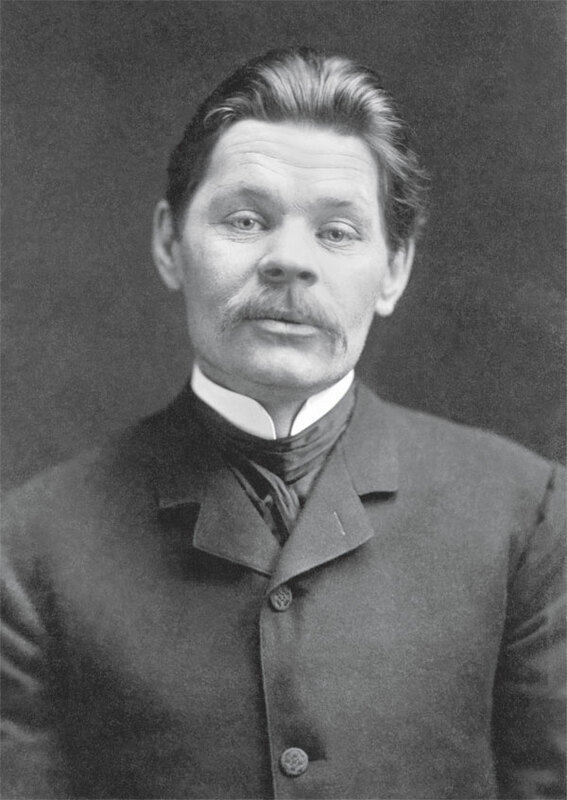 Milner the mastermind; Milner the “Race Patriot”; Milner who commanded the loyalty of the senior ranks in the British Army; Milner who had given Lloyd George his support to lead the government; Milner whose acolytes controlled Lloyd George’s policy from their Downing Street offices; Milner, the man who personally bade farewell to the last Czar. A man so important to the creators of the new world order that his influence has been airbrushed from history. Had you previously heard of Alfred Milner? Was his name ever mentioned in the classroom or lecture hall when you were studying history? Has his place in all that happened been acknowledged by those who control the official commemorations for the First World War? No. It was he who had the steel to “disregard the screamers”, phrase he used in the 1890s to put steel into the resolve of wavering politicians. He urged his followers to hold out for the destruction of Germany. That was the whole point of the First World War. Victory was not enough. 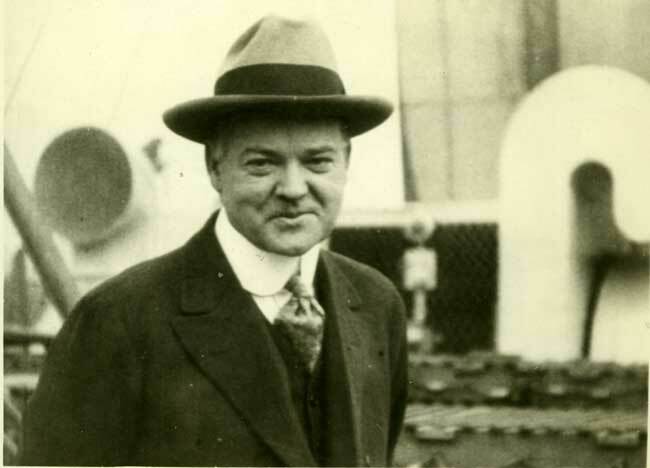 What too of the imposter, Herbert Hoover? The great American who appeared from the ether to rescue the poor and the starving, the stranded and the needy, provided someone paid. He was re-invented as a great humanitarian between 1914-1919, but his success was backed by the men who wanted to prolong the war. The Commission for Relief in Belgium was not his great achievement; nor was his role as Food Administrator for the American government. 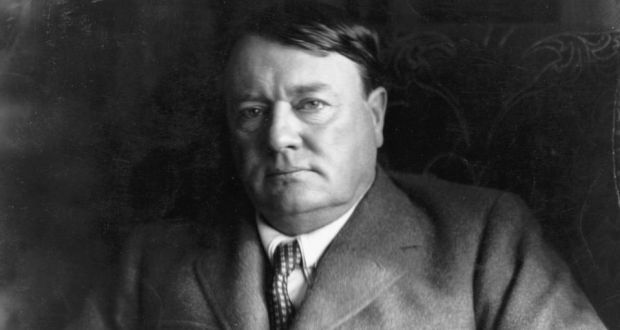 While the Germans will be remembered for the burning of Louvain, and its historic library in 1914, a crime against civilisation, they said, Hoover literally stole the history of Europe from before the war until 1919, and took it half way round the world to place it under lock and key. Ah, but he was a good-guy. He did it for posterity, did he not? Shame that the evidence, or what remains of it, has been condemned to eternal darkness; that all of his shipping and distribution papers have disappeared; that the entire narrative of Belgian Relief has been left exclusively to Hoover’s apologists. It is disgusting to admit that the secret papers concerning the causes of the war in Europe were exchanged by desperate men for food. That is the level to which the man who would be 31st President of the United States of America sank. 1. Carrol Quigley, The Anglo-American Establishment, p.15. 2. 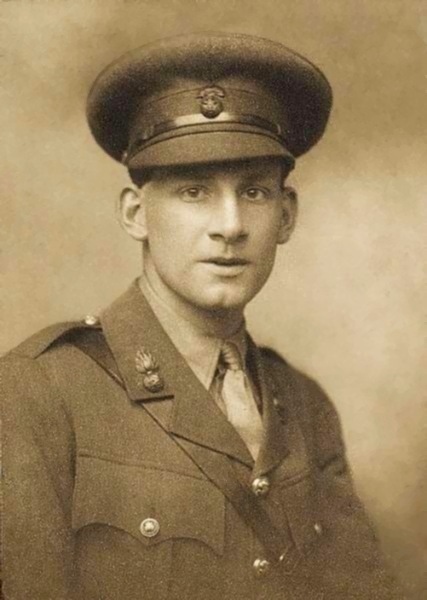 Christopher Clark, The Sleepwalkers, How Europe Went To War in 1914. 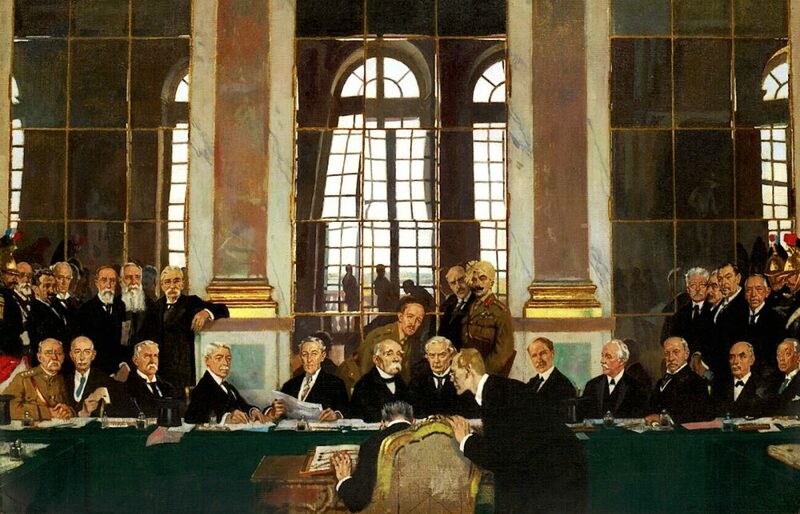 The Treaty of Versailles, signed eventually on 28 June 1919, was uncompromising. Its legacy reaped a bitter harvest. Germany lost nearly one seventh of its territory and one tenth of its population. Half the iron ore and one quarter of the coal production as well as one seventh of agricultural production were taken from her. German colonies and all foreign possessions of the Reich were lost. Most of her commercial fleet had to be handed over and long-term economic discrimination endured. But on a deeper level, Germany lost more than just her wealth and her possessions. She lost a confidence in herself which created a political vacuum; a space for opportunism to grow like a cancerous tumour. The army and navy were considerably reduced. The Rhineland was de-militarised, split in three zones and occupied by Allied forces for five to fifteen years. The Saarland was put under the mandate of the League of Nations. The coal mines went to France. Gdansk and its surrounding area was turned into a Free City of Poland with special rights. The independence of Austria, whose National Assembly had voted to accept the connection to the German Reich, was to be guaranteed in perpetuity. The amount of reparations was to be determined at a later time. That the sum to be compiled would be very high, was beyond doubt. The murdered Kitchener must have spun in his watery grave. This was not a just peace. Before the signing of the treaty, President Wilson said that if he were a German, he would not sign it. His Foreign Minister Lansing considered the conditions imposed on Germany as unutterably hard and abasing, many of which could not possibly be met. 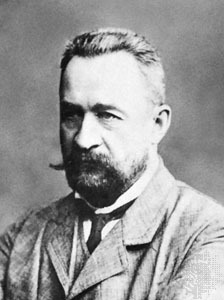 His adviser, Mandell House wrote in his diary on 29 June that the treaty was bad and should never have been concluded; its execution would bring no end of difficulties over Europe. As an understatement, Houses’s prediction stands absolutely proven.The real victors would not be swayed. 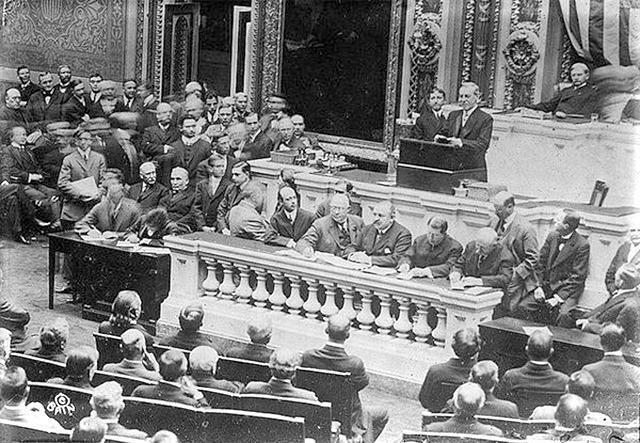 The final Treaty stands testament to how little real influence Woodrow Wilson wielded in Europe. The Versailles Peace Settlement was a stepping stone in itself to future wars. Diplomat-historian George F Kenan later wrote that the peace treaty ‘had the tragedies of the future written into it as if by the devil’s own hand.’  As we have pointed out, by accepting Article 231, Germany was obliged to bear the burden of guilt for causing the war. Old Empires were dismantled and choice pickings reallocated. 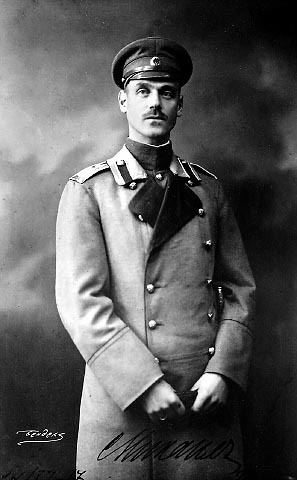 Gone was the German Empire and Queen Victoria’s grandson, the Kaiser. 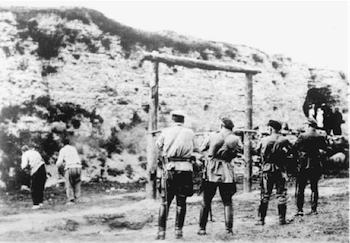 The Imperial Russian Empire was no more, its Czar Nicholas II, cousin of Britain’s King George V, executed by the very Bolsheviks whom American and British bankers had financed. The Ottoman Empire, ripped apart by the victors, offered the opportunity to redraw the Middle East with the lure of oil and prime strategic locations. The British Empire survived, but at a cost. Britain had sold off at least a quarter of its dollar investments and borrowed over £1,027,000,000 from the United States. Consequently, the flow of capital from America to Europe reversed the pattern which had dominated the previous century. These immense changes represented a long-term financial realignment in favour of Wall Street. The conclusion to First World War was not the beginning of the end but a building block towards disasters that were to come. A new Elite intended to control the peace and exert its influence through organisations which it created specifically to determine how that would be done. 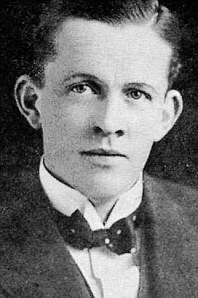 During the Peace Conference in Paris, Alfred Milner’s chief acolyte, Lionel Curtis, organised a joint conference of British and American ‘experts’ on foreign affairs at the Hotel Majestic. 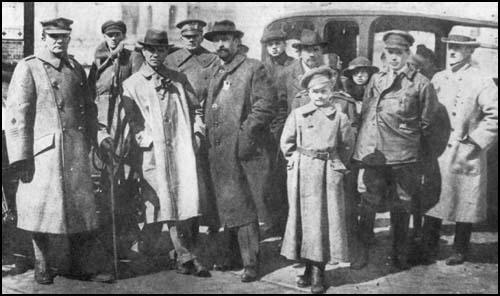 The British contingent came almost exclusively from men and women identified by Professor Carroll Quigley as members of what we have termed The Secret Elite. The American ‘experts’ came from banks, universities and institutions dominated by J.P. Morgan and members of the Carnegie Trust. This alliance of international financial capitalism and political thinkers and manipulators began a new phase in the life of the secret cabal as they continued their drive to establish a new world order. They took the successful Round Table Group and remodelled it into The Institute of International Affairs. Smothered in words which when decoded meant that they would work together to determine the future direction of a fast-changing world, Lionel Curtis advocated that ‘National Policy ought to be shaped by a conception of the interests of society at large.’  By that he meant the interests of the Anglo-American Establishment. He talked of the settlements which had been made in Paris as a result of public opinion in various countries, and spelled out the need to differentiate between ‘right’ and ‘wrong’ public opinion. With chilling certainty he announced that ‘Right public opinion was mainly produced by a small number of people in real contact with the facts who had thought out the issues involved.’139 He talked of the need to ‘to cultivate a public opinion in the various countries of the world’ and proposed the creation of a ‘strictly limited’ high-level think-tank comprising the like minded ‘experts’ from the British and American Delegations. A committee of selection, dominated entirely by Secret Elite agents was organised  to avoid ‘a great mass of incompetent members.’ What quintessentially British ruling-class thinking. A new Anglo-American Elite of approved membership was self-selected. Thus the Institute of International Affairs, also known as Chatham House, was formally established in July 1920 and was granted a Royal charter in 1926. Its first decision was to write a history of the Peace Conference. A committee to supervise these writings, in other words, ensure that the official history recorded only their version of events, was funded by a gift of £2,000 from Thomas Lamont of J.P. Morgan. Follow the money you will always trace the power behind the politicians. At the same time Institute’s sister organization, the Council on Foreign Relations (CFR), was created with J.P. Morgan money. Acting in close cooperation and funded by similar sources, the CFR and Chatham House ensured that the Britain and the United States followed similar foreign policies. It is important to bear in mind that Curtis and his new updated organisation invited speakers to discuss and develop the ‘right’ opinion. That would have been why the first fully recorded meeting which was published in The Round Table Journal 142 in 1921 was given by D.G. 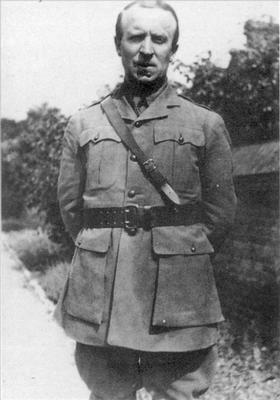 Hogarth who served on the Arab Bureau during the war. He was a friend of T.E. Lawrence and Sir Mark Sykes, the men who betrayed the Arabs. Hogarth spoke on the Arab States an indication that this was one specific area for which the ‘right’ opinion had to be endorsed. In 1922, Chaim Weizmann gave an address on Zionism. His must have been the ‘right’ opinion too. 2. Adam Hochschild, To End All Wars: A Story of Loyalty and Rebellion, p. 357. 3. David S. Landes, The Unbound Prometheus, pp. 362-3. 4. 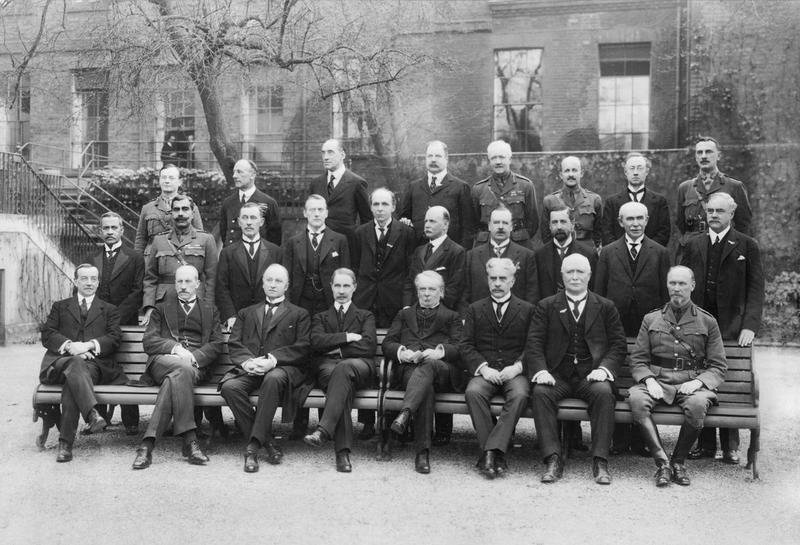 The inaugural meeting to establish the Institute took place on 30 May 1919. 5. Gerry Docherty and Jim Macgregor, Hidden History, p.18. 6. Carroll Quigley, The Anglo-American Establishment, pp. 182-183. 7. M.L. Dockrill, The Foreign Office and the ‘Proposed Institute of International Affairs 1919’ International Affairs (Royal Institute of International Affairs 1944-), Vol. 56, No. 4 (Autumn, 1980), pp. 667. 9. All of the senior organisers have been identified as members of the Secret Elite many times over; Lord Robert Cecil, Valentine Chirol, foreign editor of The Times, Geoffrey Dawson, G. W. Prothero etc. 10. 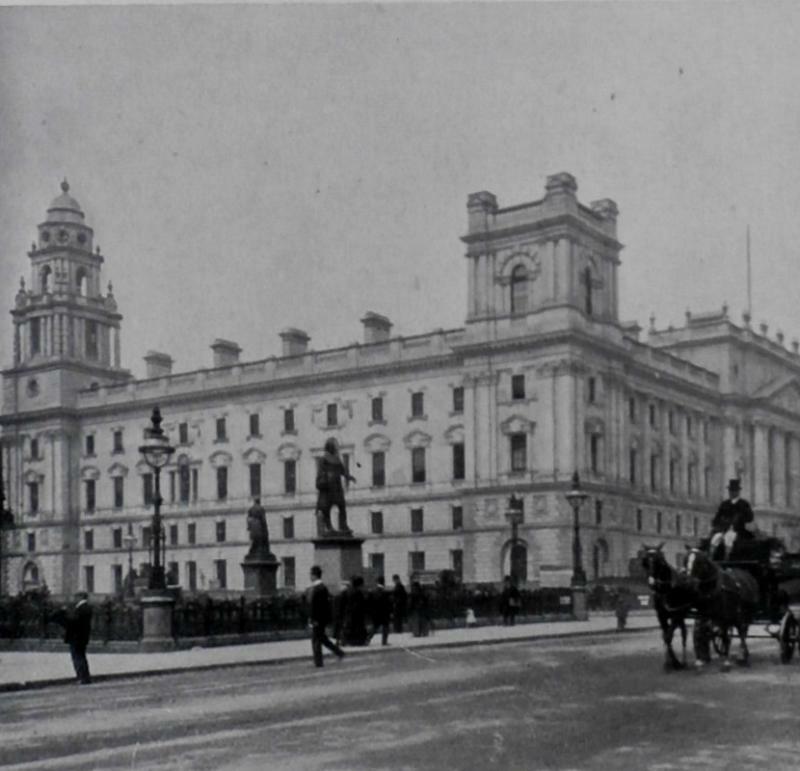 Dockrill, The Foreign Office and the ‘Proposed Institute of International Affairs 1919’ International Affairs (Royal Institute of International Affairs 1944-), Vol. 56, No. 4 (Autumn, 1980), pp. 671. 11. Docherty and Macgregor, Hidden History, chapter 11, pp. 153-160. 13. Quigley, The Anglo-American Establishment, p. 185. The Arab cause was severely handicapped because it had no voice at the heart of the Secret Elite and no champion in Parliament. Financial and industrial powers wanted control of the resources under the sands and cared little for the indigenous population. In fact the Arabs were mere pawns in a larger game of international chess. Even at the lesser levels of power, they had no influential advocate. They were disadvantaged at every turn. T.E. 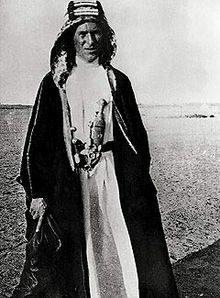 Lawrence, who fought side by side with Faisal and the Husseins, knew that he was merely part of a conspiracy. Lawrence had personally endorsed the promises made by the British cabinet, assuring the Arabs that their reward would be self-government. He wrote of ‘our essential insincerity’, of his conviction that ‘it was better we win and break our word, than lose’ the war in Arabia. His much heralded relationship with the Arabs was underpinned by fraud and he knew it. 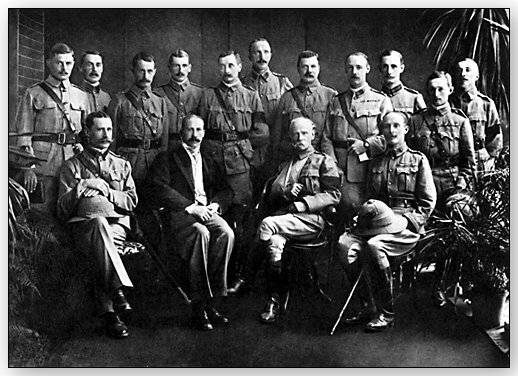 Lawrence’s comments were made in relation to the Sykes-Picot agreement of which he had been fully informed. He was not party to the Balfour Declaration, but his Zionist sympathies later became apparent. The Machiavellian intrigues which took place in London and Washington added a deeper level to this deceit. It had been argued that the British government, and A.J. Balfour in particular, did not fully realise what they were doing when they approved the fateful decision to support a Jewish homeland in Palestine. This was patently untrue. Two of the most experienced politicians in the British Empire, Lord George Curzon, former viceroy and Governor-General of India and Edwin Montagu, the Secretary of State for India, both lobbied the War Cabinet against entering into an agreement with the Zionists without a much fuller analysis of what that would mean. Their Cabinet papers on The Future of Palestine  and Zionism  should have been taken seriously, but were ignored. Indeed their views were presented to the War Cabinet so late in the day that it had the feel of a cosmetic device to imply some kind of balanced judgement. Mere dressing. He also informed Cabinet that anyone who glibly dreamt of a Jewish Capital in Jerusalem did not appreciate the complexity of the ‘holy places.’ Too many people and too many religions had such a passionate and permanent interest that any such outcome was not even ‘dimly possible.’ His final warning was profoundly clear: ‘In my judgement, it [Zionism] is a policy very widely removed from the romantic and idealistic aspirations of many Zionist leaders whose literature I have studied, and whatever it does, it will not in my judgement provide either a national, a material or even a spiritual home for any more than a very small section of the Jewish people.’  His analysis was superb. His words were left to gather dust on the cabinet shelves and have been ignored because they destroyed the illusion which Zionists repeated about a land without people waiting for a people without land. Edwin Montagu’s Cabinet paper on Zionism was distributed at the same meeting. It included a highly perceptive report from Miss Gertrude Lowthian Bell, the acting Political Officer in Baghdad. The Oxford educated writer and sometimes British Intelligence operative pointed out that: ‘Jewish immigration has been artificially fostered by doles and subventions from millionaire co-religionists in Europe; [The most prolific giver of doles and subventions was Edmund de Rothschild] …The pious hope that an independent Jewish state may some day be established in Palestine no doubt exists though it must be questioned whether among local Jews there is any acute desire to see it realised, except as a means to escape from Turkish oppression; it is perhaps more lively in the breasts of those who live far from the rocky Palestine hills and have no intention of changing their domicile.’ Lord Cromer took pleasure in relating a conversation he held on the subject with one of the best known English Jews who observed: ‘If a Jewish kingdom were to be established in Jerusalem, I should lose no time in applying for the post of Ambassador in London.’  Tantalisingly, Cromer was not prepared to name the alleged wit. 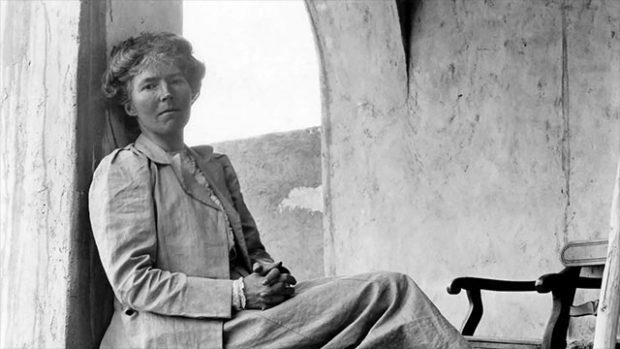 Gertrude Bell’s acutely accurate observation held the key to understanding what was happening. The clarion call to a Jewish homeland in Palestine came not from the small Jewish communities which had been established there or the few more recent immigrant settlers. Naturally those Jews who, together with their Arab and Muslim neighbours, had suffered under the harsh Turkish yoke, welcomed change. What she questioned was the validity of those who canvassed for a ‘homeland’ to which they had no intention to return. How many of those Britons or Americans who supported the idea of a Jewish homeland, actively considered packing their bags and moving to a community in Palestine? This was not the message that the Secret Elite wished to consider. In an attempt to dispel the assumption that Weizmann’s brand of Zionism was widely supported within the Jewish community in Britain, Montagu added a list of prominent British Jews active in public life whom he termed Anti-Zionist. It included Professors, Rabbis, Jewish members of the Government (Sir Alfred Mond and Lord Reading) three Rothschilds, Sir Marcus Samuel (of Royal Dutch/Shell) and many more British Jews. He begged the war cabinet to pause and think before it ignored the British voice of the many Jews who had ‘lived for generations in this country, and who feel themselves to be Englishmen.’  He countered claims that American Jews were in favour of Zionism by quoting from the Convention of the Central Conference of Jewish Rabbis held in June 1917: ‘The religious Israel, having the sanctions of history, must not be sacrificed to the purely racial Israel of modern times.’ Note how the term Israel was used. 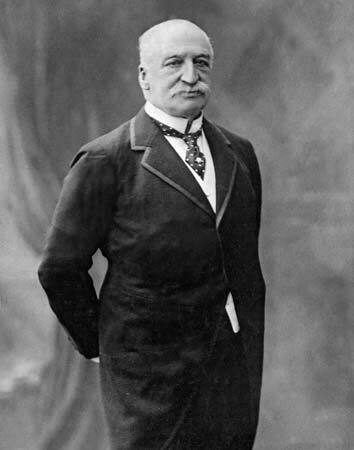 Jacob Schiff’s views were included with specific emphasis on his belief that ‘no effort should be made to re-establish a Jewish nation…’ Similar sentiments from leading French and Italian Jews were included. 1. T.E. Lawrence, Seven Pillars, pp. 5-6. 2. National Archives, Cabinet Papers:CAB 24/30. 3. National Archives, Cabinet Papers:CAB 24/28. 4. National Archives, Cabinet Papers: CAB 24/30 p. 2. 7. National Archives, Cabinet Papers:GT- 2263 p. 1. 8. National Archives, Cabinet Papers:CAB 24/28, GT 2263. What followed was a very curious breakfast-meeting of a pro-Zionist group, including Lloyd George, on 3 December 1914. The most intriguing part of the meeting, which Weizmann described in great detail in his autobiography,  was that Lloyd George apparently forgot all about it. In his own self-aggrandising memoirs the Welshman explicitly dated his first meeting with Chaim Weizmann from 1916 when the Manchester chemist, by that time a Professor at the university, worked for the ministry of munitions. Indeed the impression which Lloyd George deliberately tried to infer was that the later Balfour Declaration was a reward for Weizmann’s services to the British nation for his development of acetone as a source to enhance munitions. What rubbish. Why did he feel it necessary to falsify his own record? 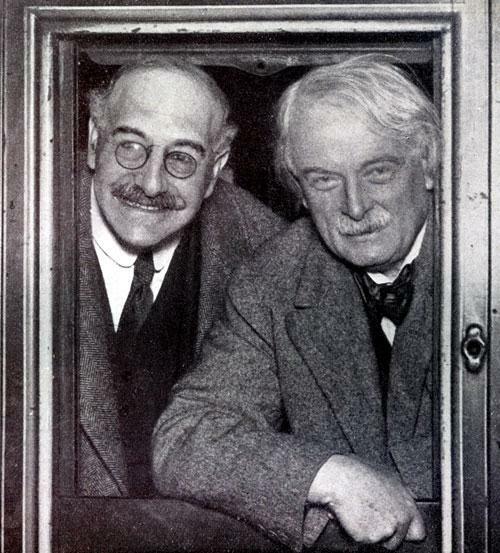 Lloyd George had been introduced to Chaim Weizmann on 3 December 1914 in the company of Herbert Samuel, C.P. Scott and Joshiah Wedgwood, and the sole topic of conversation, had been Palestine. The then chancellor of the exchequer’s account is so ridiculous that we have to ask, what was he trying to hide? Did later developments in Palestine embarrass Lloyd George politically? Were there other secret influences from whom he had to deflect enquiry? 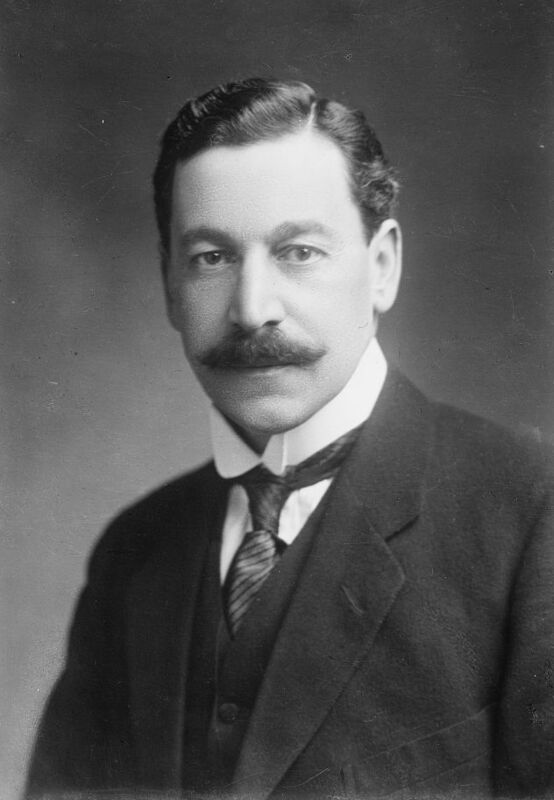 Herbert Samuel proved to be an important advocate for a Jewish homeland in Palestine. He promoted the idea both informally with fellow ministers and in January 1915 wrote a draft memorandum for the Cabinet in which he concluded that Palestine’s annexation to the British Empire, together with an active colonisation of Jewish settlers, was the best solution for Britain. Prime Minister Asquith was not impressed. When in March 1915 Samuel circulated his revised memorandum to all members of the Cabinet, Asquith was scathing in his dismissal, describing the proposals as ‘dithyrambic’, an educated put-down implying a wild, over-the-top, possibly wine-fuelled raving. He went further with a racist swipe which emphasised his disapproval of the very idea that ‘we should take Palestine, into which the scattered Jews c[oul]d swarm back from all quarters of the globe, and in due course claim Home Rule.’  Insects swarm; not people. 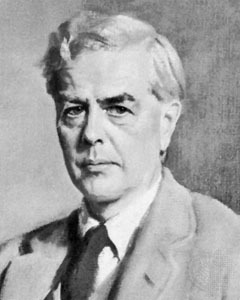 Asquith also ridiculed the notion that Lloyd George cared a whit about the future of Palestine, adding: ‘ Lloyd George … does not care a damn for the Jews or their past or their future, but thinks it would be an outrage to let the christian holy places pass into the possession or under the protectorate of Agnostic Atheistic France!’  Why did Asquith find Lloyd George’s stance ‘curious’? Before taking office in 1906, Lloyd George’s legal firm had represented Theodore Herzl in his negotiations with the over the the Uganda proposal. It was he who submitted Herzl’s views on the offer to the British Government. His association with Zionism was long-standing. 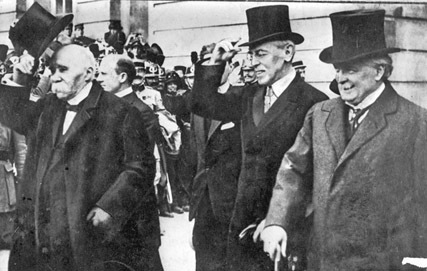 Other important politicians and cabinet ministers who responded positively to Herbert Samuel’s memorandum included Sir Edward Grey, Rufus Isaacs, Lord Chief Justice of England from 1913, Richard Haldane, who at that time was Lord Chancellor, Lord James Bryce, former Ambassador to the United States and Arthur J. Balfour,  who was to become foreign secretary when Grey was replaced in 1916. Alfred Milner was positively predisposed towards what he himself termed, the Jewish Race. In 1902 he wrote to the President of the Zionist Federation of South Africa: ‘I have known the Jews as excellent colonists at the Cape – industrious, law-abiding and thoroughly loyal’. Herzl had written to Milner in 1903 putting forward his arguments for a Jewish National Home in Palestine and praised the bond which he believed ‘united us [Jews] all closely to your nation.’  Weizmann valued the strength of Milner’s support. He believed that Milner profoundly understood that the Jews alone were capable of rebuilding Palestine, and of giving it a place in the modern family of nations. Such nonsense should have been summarily dismissed but Milner had more immediate concerns, amongst which the strategic defence of the Empire was a powerful motivator. The Secret Elite understood the natural advantage to be gained from a pliant Jewish-Palestine which would protect the western side of the Suez canal and all of the concomitant interests in Persia. Weizmann held individual discussions with a stream of Secret Elite politicians and agents. Naturally he endowed each with qualities and perceptions which supported Zionism. He specifically targeted Lloyd George’s minders in the Downing Street Garden suburb,  His subliminal message was hardly difficult to understand; Britain should trust in a Jewish homeland in Palestine to protect the Suez Canal and the gateway to Persia and India. Weizmann had a further advantage. He understood the matriarchal power inside the Jewish household and sought to use it to his advantage. For example, when James de Rothschild was serving in the British army, Weizmann befriended his wife Dorothy Pinto and ‘won her over’ to Zionism. Jessica Rothschild, wife of Nathan’s second son, Charles, also proved to be a valuable asset and willingly helped the Zionist leader to widen his contacts inside London Society. And it came to pass that the people of influence, mostly powerfully rich Jews, adopted Chaim Weizmann. 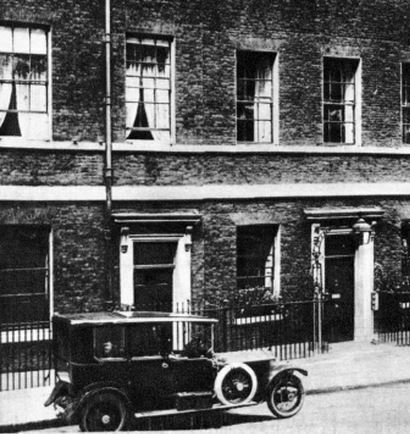 The English Zionist Federation office in Fulbourne Street in the East End of London had become too small to meet the demands placed on it by 1917. Weizmann would have us believe that ‘after much consideration and heart-searching we decided to open an office at 175 Piccadilly’. So innocuously put; so entirely misleading. From the East End to Piccadilly was a massive step on its own, but to 175 Piccadilly? To become near neighbours of their friends in ‘Rothschild Row’? How wonderful. Yet that was not the important point. What mattered was that the English Zionist Federation was absorbed into Empire House, the home of Milner’s Round Table Quarterly Review,  at the heart of the very court of influence which dominated British political thinking. Weizmann and his organisation were literally embraced by the Secret Elite’s inner-most think-tank. 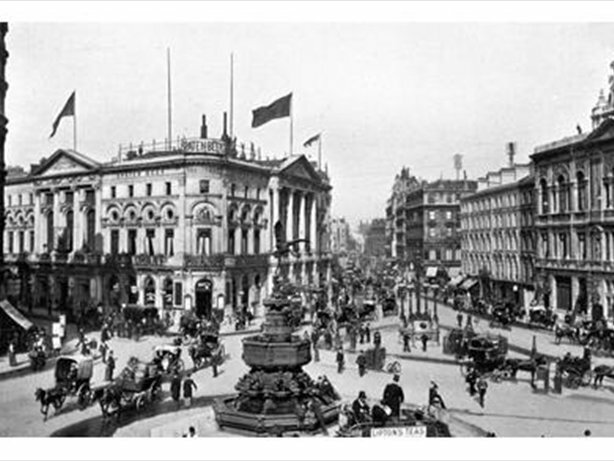 175 Piccadilly became the hub ‘towards which generated everything in Zionist life’. Incredible. One building, two organs of political influence and a shared interest. 175 Piccadilly was a very significant address. Its importance was kept well away from public scrutiny. Louis Brandeis and Chaim Weizmann were intimately involved in promoting Zionist intentions behind the backs of their political allies. But they hid it well. Louis Brandeis’s biographer, Alphas Thomas Mason was authorised and approved by the Supreme Court Judge himself and given full access to all his public papers, notebooks, diaries, memoranda, archived letters and personal correspondence. Yet in his 240,000-word scholarly work, only two small paragraphs, ten lines in total, cover Brandeis’s feverish activities between April and June 1917. The truth, to which we now turn, is far more revealing. 1. Trevor Wilson, Scott, Charles Prestwich (1846–1932)’, Oxford Dictionary of National Biography, Oxford University Press, 2004. 2. They did fall out for a year in1920-21 over Ireland. 3. Weizmann, Trial and Error, p. 190. 4. 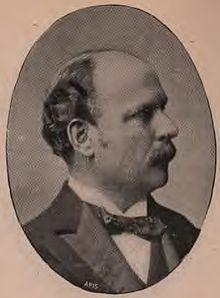 Bernard Wasserstein, ‘Samuel, Herbert Louis, first Viscount Samuel (1870–1963)’, Oxford Dictionary of National Biography. 5. Viscount Samuel, Memoirs, p. 139. 7. Weizmann, Trial and Error, p. 191. 8. David Lloyd George, War Memoirs, p. 348-9. 9. Oscar K Rabinowicz, Fifty Years of Zionism, p. 69. 10. Weizmann, Trial and Error, p. 192. 11. Viscount Samuel, Memoirs, p.142. 12. Micheal and Eleanor Brock, HH Asquith, Letters to Venetia Stanley. p. 406. 16. Viscount Samuel, Memoirs, pp.143-4. 17. Vladimir Halpern, Lord Milner and the Empire, p. 169. 19. Weizmann, Trial and Error, p. 226. 21. J.A. Turner, The Historical Journal vol.20, No 1 (March 1977) p. 165-184. 22. Fredric Bedoire and Robert Tanner, The Jewish Contribution to Modern Architrecture, 1830-1930, p. 131. 23. 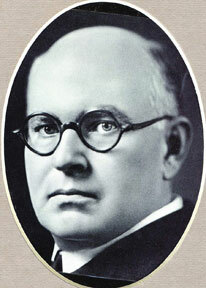 Walter Nimmocks, Milner’s Young Men, p.166. 24. Weizmann, Trial and Error, p. 232. 25. Mason, Brandeis – A Free Man’s Life, p. vii. The November 1917 Balfour Declaration was the final product of many interested parties with whom the Secret Elite was intimately involved. For over a century historians and journalists have focussed attention on the final outcome, the Balfour Declaration itself, but the process through which that brief letter of support was constructed clearly demonstrated the collusion of governments and lobbyists which spells out a conspiracy which has been ignored or airbrushed from the received history of the time. 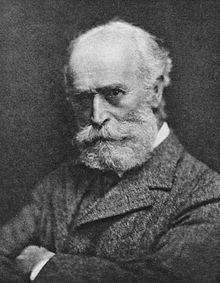 Take for example the role of Alfred Lord Milner, the central influence inside the Secret Elite and unelected member of Lloyd George’s War Cabinet. 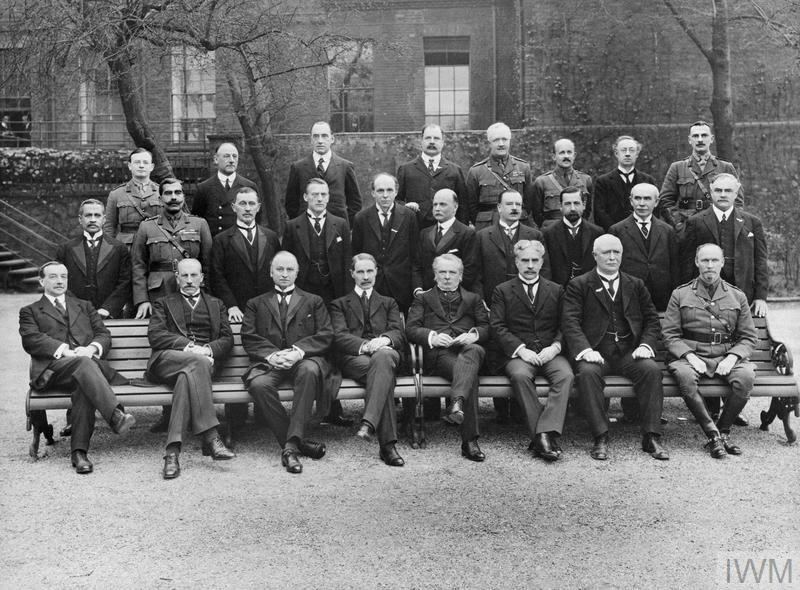 At a previous Cabinet meeting on 4 October 1917, participants had considered a draft declaration written by Milner himself and influenced by his Round Table acolytes. His draft specifically supported the view that the government should ‘favour the establishment of a National Home for the Jewish Race’. The capitalisation of the term National Home was later altered, as was the very Milnerite phrase, ‘Jewish Race’. Lord Milner was a very precise thinker. While the words National Home implied that the Jewish people throughout the world should have a defined area to call their own, his version favoured ‘the establishment’ of such a place. It did not imply a return to a land over which they had assumed rights. Secondly, Alfred Milner held Race in great esteem. He defined himself with pride as a British ‘Race Patriot’. His wording was a mark of respect. Others feared that it was a dangerous phrase which might be interpreted aggressively. It clashed with the concept of Jewish assimilation, like Jewish – Americans, and hinted that as a faith group, Jews belonged to a specific race of peoples. Consequently, his version was toned down. Secretly, the War Cabinet decided to seek the opinion on the final wording of the declaration from both representative Zionists (their phrase) and those of the Jewish faith opposed to the idea of a national homeland. It is crucial to clearly understand that inside the international Jewish community there was a considerable difference of opinion in favour of, and against this idea of a Jewish ‘homeland’. That these groups were apparently given equal standing suggested that the Jewish community in Britain was equally split on the issue. They were not. The number of active Zionists was relatively small, but very influential. Furthermore, the War Cabinet sought the American President’s opinion on the proposed Jewish homeland in Palestine. The minutes of the 245th meeting of the War Cabinet in London revealed that Woodrow Wilson was directly involved in the final draft of the Declaration. So too was his minder, Colonel Edward Mandell House  and America’s only Jewish Chief Justice, Louis Brandeis,  both of whom telegrammed different views to the British government. On 10 September, Mandell House indicated that the President advised caution before proceeding with a statement on a future Jewish homeland; on 27 September, Judge Brandeis cabled that the President was in entire sympathy with the declaration. Much can change in politics inside two and a half weeks. As each layer of the onion is slowly peeled away from the hidden inner core of the eponymous Declaration, it becomes apparent that the given story has glossed over key figures and critical issues. There are hidden depths to this episode that mainstream historians have kept from public view and participants have deliberately misrepresented or omitted from their memoirs. 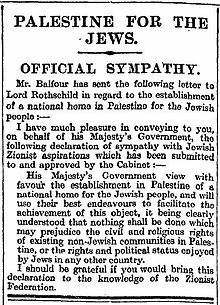 Balfour’s reply ‘accepted the principle that Palestine should be reconstituted…and [we] will be ready to consider any suggestions on the subject which the Zionist Organisation may desire to lay before them.’ What? How do you ‘reconstitute’ a country? It might be interesting to consider the precedent that was being set. Could this mean that one day America might be reconstituted as a series of native Indian reserves or parts of England as Viking territory? Astonishingly, the Zionist movement was invited to dictate its designs for British foreign policy in Palestine. This was not some form of loose involvement. It was complicity. 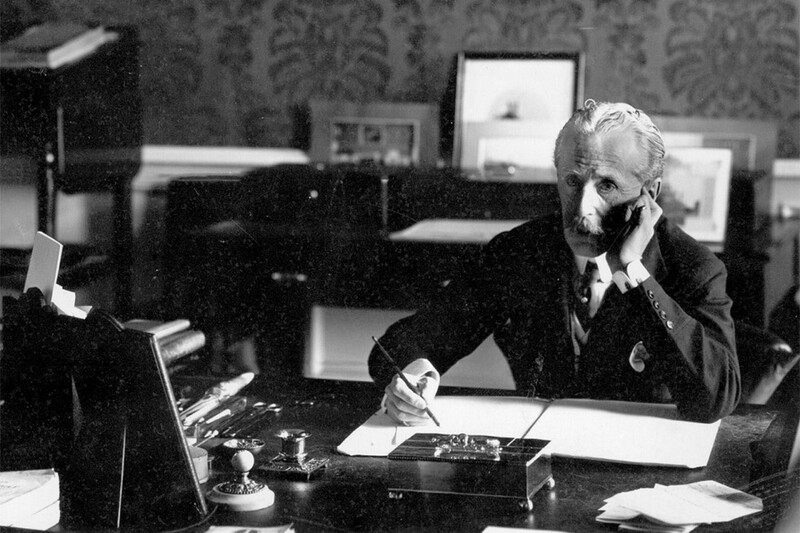 Lloyd George’s government, through the war cabinet, colluded with the Zionist Federation to concoct a statement of intent that met their (Zionist) approval. Furthermore, it was agreed that such an important issue, namely the future of Palestine, should be discussed with Britain’s allies, and ‘more particularly with the United States’. This action had all the hallmarks of an international conspiracy. How many lies have been woven around the design and origins of the Balfour Declaration? 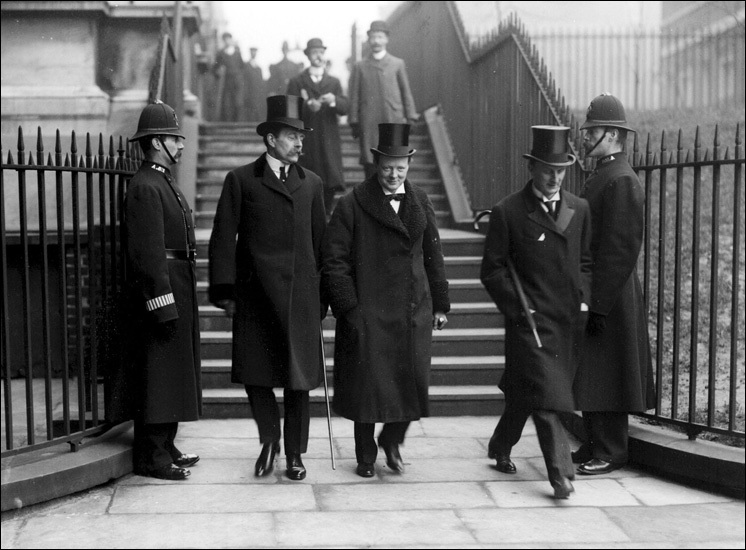 Lord Walter Rothschild was the chief intermediary between the British government and the Zionist Federation. In this capacity he had been involved in the process of creating and formulating a new and explosive British commitment to the foundation of a Jewish home in Palestine. More than that, Rothschild and his associates sought to control ‘the methods and means’ by which it would be created. This mindset never wavered in the years that followed. What influences had been activated to bring Lloyd George, in conjunction with Woodrow Wilson, to such a position by November 1917? Behind the scenes, who was pulling the strings? Who were these Zionists, and why were they given such immense support from the Secret Elite and, in particular, their British political agents? How could a minority group, suddenly command such power on both sides of the Atlantic? An exceedingly small minority group of no previous political or religious influence, whose ideology had been dismissed by many leading Rabbis as contrary to true Jewish belief, emerged as if from nowhere to strut the world stage. This did not happen by chance. It happened by design. This we will demonstrate over the next few blogs. 1. National Archives: CAB 23/4/19 WC 245, p. 6. 2. A.M. Gollin, Proconsul in Politics, p. 401. 3. National Archives: CAB 23/4/19 WC 245, p. 6. 4. National Archives: GT – 2015. 5. National Archives: GT – 2158. 6. National Archives: CAB 23/4/19 p. 5. 7. National Archives: CAB 23/4/1. WC. 227, p. 1. 8. National Archives: GT-1803 – The Zionist Movement. 11. National Archives: CAB 24/24/4. 12. National Archives: CAB 23/4/1. WC 227, p. 2. We appreciate the number of blog readers and followers who have continued to support our drive to demonstrate clearly how the First World War was justified, prolonged and deliberately aimed at the destruction of Germany and her allies. Over the past nine months we have been focussed on completing the second book spanning the years 1914-1919. It will be entitled, Prolonging The Agony and published by Trineday in the United States in the autumn/fall. As soon as the production work is completed we intend to post directions from the blog to the publishers so that you can get hold of a copy should you want to read the entire narrative and have it as an historical record. The revelations contained within its covers unmasks many of the myths of ‘The Great War for Civilisation’. It is a history that the establishment does not want to acknowledge, yet year on year, has been forced to concede, as the evidence of their collusion and lies grows ever more obvious. Ponder the key words here. 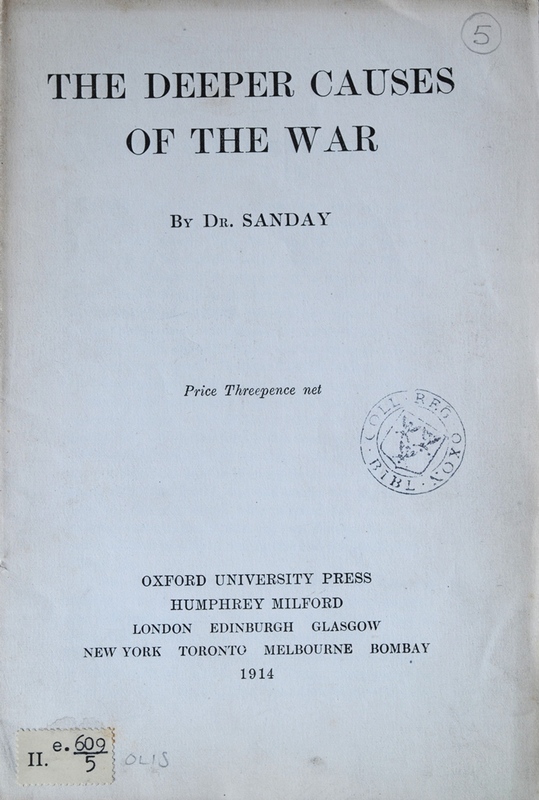 Sassoon wrote his outcry in wilful defiance of military authority because he believed as a fighting soldier, that the war is being deliberately prolonged by those who could have ended it. He no longer considered it a war of defence and liberation but of aggression and conquest. Had the reasons for war been clearly set at the start, the end would already have been attainable by negotiation (the peace that Britain and France refused to entertain). He could no longer be involved with prolonging these sufferings at the Front for objectives which he described as evil and unjust. He castigated the politicians for their lies for which the fighting men are being sacrificed. He blamed deception and callous complacency with which those at home accepted the agonies which continued in the trenches. This is the very vocabulary which we have used repeatedly to try to come to grips with the horrendous fact that young men across Europe, Africa, Australia, Asia and, by 1917, America were being sacrificed. Sassoon’s very words; being sacrificed. Slaughtered, abandoned, surrendered to a faceless evil. It was young men across the world who were betrayed … for the aims of a Secret Elite who sought to control a one world power for themselves. These words sit at the core of our thesis that the First World War was deliberately prolonged. What Sassoon could not point out were the names of the elite cabal involved in this monstrous charade. 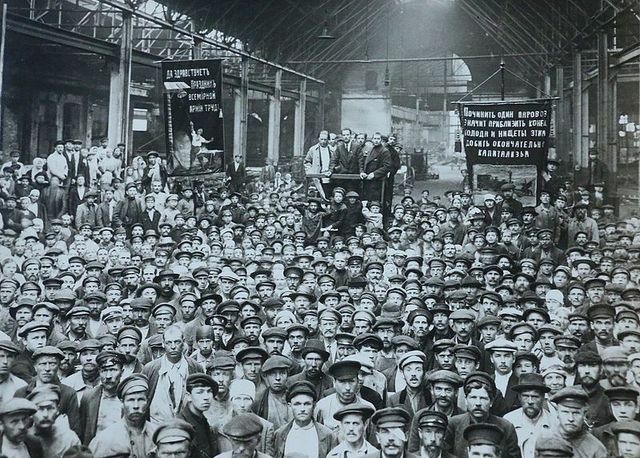 Between 1917 and 1919 momentous changes were brought about because of the prolonged war which impacted severely on the future direction of a fast-changing world. These events did not ‘just’ happen. Each on its own has grown into further and future power struggles, with consequent misery and disaster. In 1917 two immensely significant events helped destroy the old world order. 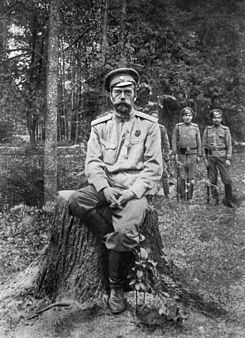 In Russia, the once-mighty Czar and his royal family were forced to abdicate before being summarily shot by the rising force of bolshevism. 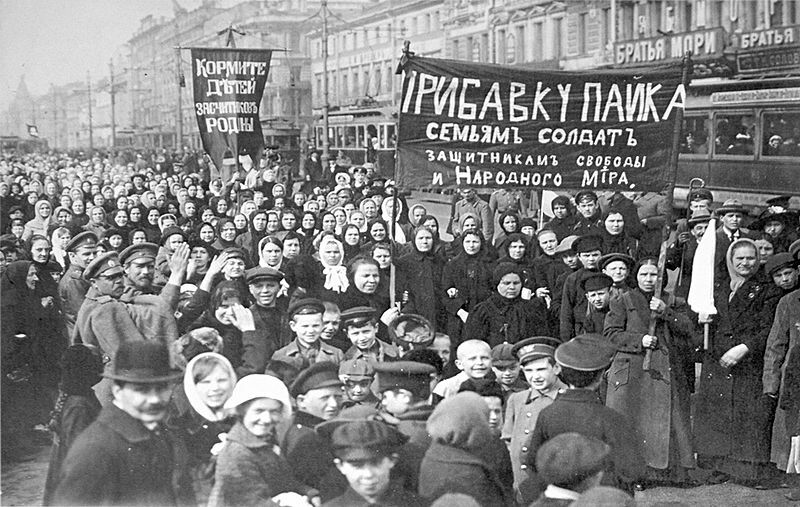 What ensued involved hidden forces from the American banking dynasties, the money-power, which bled Russia of her wealth before abandoning her to the misery of Lenin’s secret police. We will demonstrate how Lord Alfred Milner and his Secret Elite colleagues were intimately involved in the downfall of the Romanov dynasty. A second momentous event was not awarded its proper significance at the time. In 1917, the British government sent a letter to Walter Rothschild and the Zionist Federation of Great Britain intimating that it sympathised with, and approved, the idea of a future Jewish homeland in Palestine. 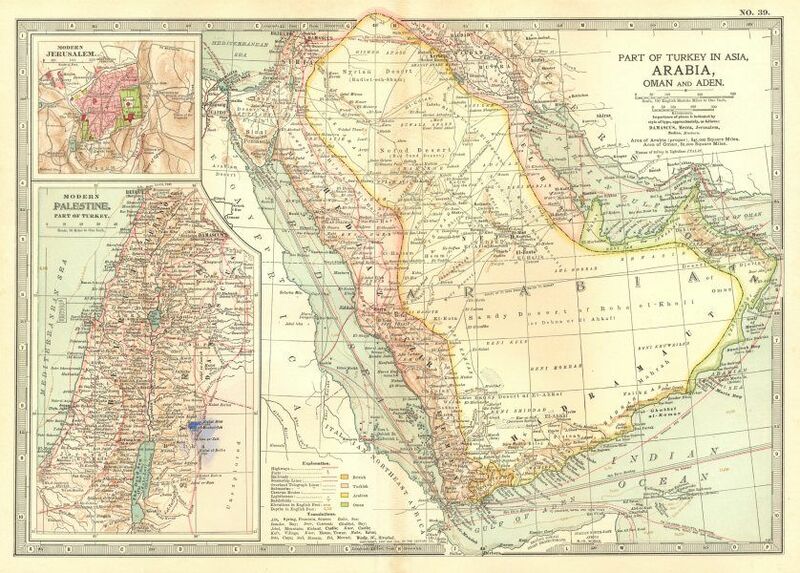 Though a range of conditions and understandings concerning the rights of the native arabs were also inferred, the Balfour Declaration, as the letter became known, was to have far-reaching consequences. It was not as it has been politely portrayed by sympathetic historians. As events became manipulated by the nascent Zionists, this action also prolonged the war, and, unknown to the general public, had deep rooted links in America. By 1918, as the relentless stalemate appeared to have no foreseeable end, Germany was driven to seek an armistice. But the war was not over. Far from it. Had the Germans not been completely deceived by the lofty pronouncements from President Wilson and his mythical Fourteen Points, they would never have surrendered. Yet, because historians and politicians have distorted the true facts, we have long believed that the First World War ended in 1918. It did not. From 1918-1919 war against Germany and her allies continued to be waged through the cruel strangulation of a total food blockade to deliberately crush the German people. Her women and children, her starving troops returning from the front line, and her old and disabled became the victims of a merciless allied revenge. Starvation became the weapon of attrition until the crippling and false Treaty of Versailles was signed in mid-1919; until the Anglo-American establishment was satisfied that Germany had been crushed. If these statements of intent cause you a deep intake of breath, bear with us. All of these great issues deserve close analysis. We start with the convenience of America’s entry to the fray after an election which championed the President who had previously kept the United States out of the war, Woodrow Wilson. Let the story unfold. The Anglo-American Establishment written by Professor Carroll Quigley is the seminal work on the elite cabal in England which developed after 1919 into a much more powerful trans-Atlantic power-group. The Times, 31 July 1917, p. 6.